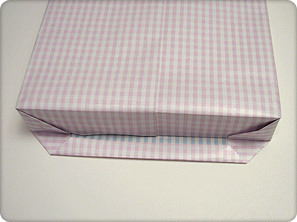 Here is a technique for creating a perfectly wrapped present every time. 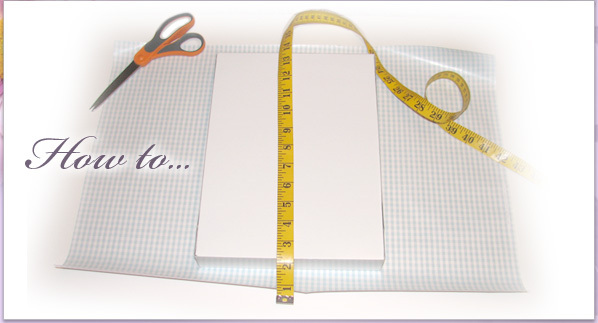 Remember, the paper is the canvas for your masterpiece gift design so you want it to look as nice as possible. Below are the directions to wrap a rectangular box. 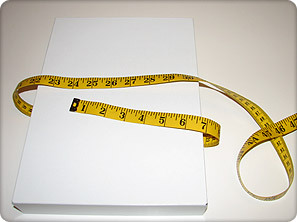 Using a ruler and a pencil, measure lengths A and B on the inside of the wrapping paper and cut a rectangle to the measured size. Place your box face down in the center of your paper. 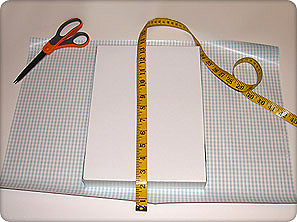 Fold one side of length B (the measurement that wrapped around the entire box) over about a half an inch to form a nice edge. 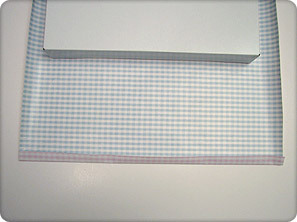 Using double-sided tape, apply strips of tape, evenly spaced, on the folded edge. 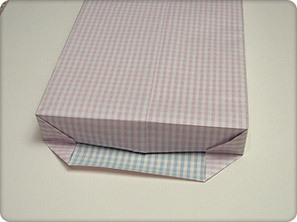 Wrap the folded edge side of the paper tightly overlapping the cut edge so that the seam in the middle of the box. 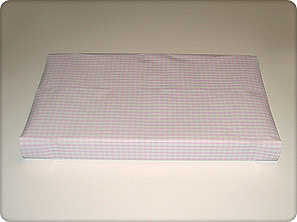 Slide the box from inside the paper so it is in the center between each open side. 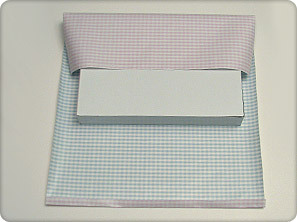 Fold down the top edge on one end of the box and then fold the sides inward creating two diagonal creases. Repeat the previous steps the other side. 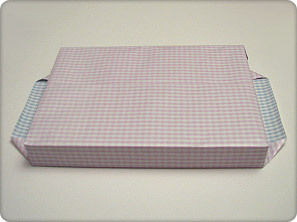 Fold the end over so its length matches the angles of the box sides when folded up. Place pieces of double-sided tape evenly on the ends and fold up. Now you have a perfectly wrapped box. 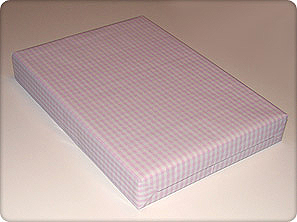 Usage Policy Please feel free to use any design or variants of these designs on giftdecorating.com for personal use. For mass production/business/event usage, we ask that you identify the source of this design as giftdecorating.com and notify us about the usage. There is no fee involved. © Copyright GiftDecorating.com. All rights reserved.